Carlos Núñez, One of the World’s Most Exciting Performers, and Band to Perform in Denver w/new CD "Inter-Celtic"
Carlos Núñez comes from Galicia, the Celtic region in the North West of Spain. He is considered one of the biggest artists in the international World / Celtic Music scene, having the quality of a classical music virtuoso and the charisma of a rock star. Carlos has expanded the borders of Celtic music to Flamenco, Fado, Cuban, Mexican, Brazilian or Classical music, Movie Soundtracks, Contemporary Dance… As he describes it, he plays Celtic music with Latin passion. Carlos became honorary member of The Chieftains when he performed and toured on their album Santiago. The album is dedicated to traditional music of Galicia and Galician emigrants’ musical folklore in Latin American music. In 1997, the album earned the group the Grammy Award for Best World Music Album. Carlos’s has released 11 albums to date, that have sold over 1 million copies and have garnered several Platinum and Gold CDs and DVDs, as well as 2 Latin Grammy nominations. The Chieftains, Altan, Sharon Shannon, Dónal Lunny, Ry Cooder, Alan Stivell, Dan Ar Braz, Capercaillie’s Donald Shaw, and others. All Ages Show/ Reserved Seats $22-$28 Available at www.soileddove.com or by calling 303-830-9214. All Ages Shows/GA seating $21.00 Advance – $25.00 DOS Tickets available at: www.stargazerstheatre.com/boxoffice/ or call 719-476-2200. All accomplished young musicians in their own right, Full Set create a stunning and unique sound that is full of energy and innovation, whilst all the time remaining true to their traditional roots. 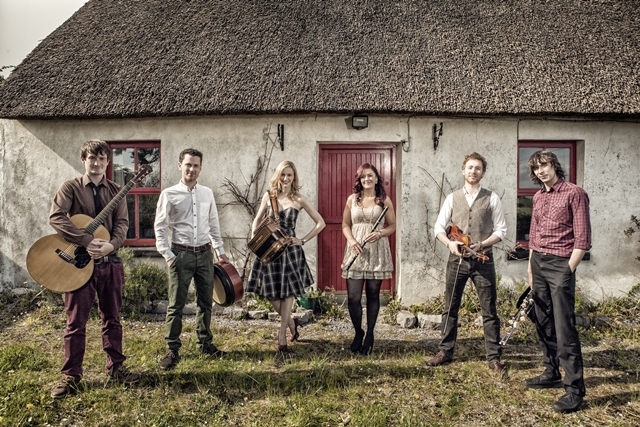 In recent years this young group has received much critical acclaim, even being compared to supergroups such as Danú & Altan by respected Irish Music Magazine. 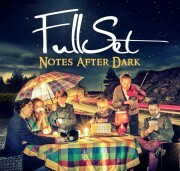 Following the tremendous success of their debut album “Notes At Liberty”, Full Set are quickly becoming one of the most well known bands in the Irish music scene today. In late 2011 they were honored by being announced as the winners of the RTÉ/RAAP Breakthrough Annual Music Bursary Award. Having been shortlisted in 4 different categories ahead of a field of almost 800 other groups and artists. As well as this, in 2012 Full Set were honored to receive “Best New Group Award” from the well respected Irish American News as well as “Best New Comer” in Bill Margeson’s Live Ireland Awards. The band features Michael Harrison, on fiddle, who creates a distinctive sound using original and colorful techniques. Martino Vacca is an exceptional uilleann piper and employs his mastery of this instrument in all pieces arranged by Full Set. Talented musician, Janine Redmond, on button accordion maintains a rich traditional style that is becoming ever so rare in traditional music today. Eamonn Moloney on bodhrán and Andy Meaney on guitar, effortlessly blend the music together with a sensitive yet driving accompaniment section. The emotive singing style of Teresa Horgan completes the ensemble and is guaranteed to captivate audiences of every generation. Those fortunate enough to have seen Full Set perform live in 2012 at the Spanish Peaks Celtic Festival, were blown to bits.. I am sure I saw bits of eyeballs rolling down the street after they had popped out of many heads. Their energy, drive, masterful playing as well as their respect for the tradition was both heady and glorious. They have it all—great musicianship, deadly vocals, great selection of tunes. Full Set are the real deal! It has been a long while since I have been so impressed by a group and am looking forward to hearing them again if I can just find my eyeballs! CR–Tell us about the new album. It’s been getting rave reviews and I understand why, as I just received it a few days ago and can’t take it off the CD player! MH—It’s called “Notes After Dark” and features lots of songs and tunes. There is a great mix, with some original work as well. We were very happy with the finished product and it appears to be going down very well! CR—You are definitely an interesting and eclectic group. 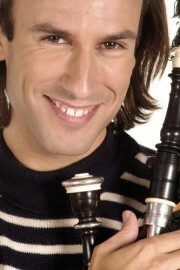 I am sure you are the only group who has an uillean pipe player that has also won the All-Ireland but comes from Italy! MH–Yes, it is quite unique. Martino Vacca moved to Ireland in 2006 and studied music at the Irish World Music Centre at the University of Limerick and got his degree there in music performance. He is a great addition to the group—he adds a lot of color to our music and its great to have that! CR—The whole group is brilliant—everyone is a master of their instrument (fiddle, flute, bodhran, uillean pipes, vocals, guitar, accordion). Teresa Horgan has gorgeous vocals and the mix of tunes is both familiar and eclectic. One of the tunes that really caught my ear on first listen, was one of your original tunes, “Sleepy Ned of Newport”. How did that tune come about? MH—I wrote that one a few years ago. It is a slower tune of the set with the second being called “The Ginger Nut”. I told Eamonn Moloney the bodhran player that I’d name the tune after him as a birthday present. I was only joking, but he took it seriously! He has this talent for falling asleep anywhere, really, so that’s how that one came about. CR—So were you eating a package of “Ginger Nuts” (an Irish ginger cookie) when you wrote the second tune?? MH—Well, my mother has ginger coloured hair and is a bit nutty, so I said I’d call it that. People can have their own take on it, but I named it after my mom, anyway. CR—Well it is a more noble story than a package of cookies! People don’t like to be labeled or put into boxes but its hard not compare bands when you hear their music. Who are some of your influences? I hear flashes of Bothy Band, Arcady, Altan…. You have your own distinct identity, but there are resonances of these other bands. MH—Its funny you should mention Arcady because the fiddle player in that group, Brendan Larrissey was my fiddle teacher, so I suppose his take on Irish music might have influenced my playing. But we all have different influences and we all come from different places—Dublin, Cork, East Galway, Tipperary…..Italy!! !, so they all bring their own influences with them. Different areas have different styles and we just see what comes out of them. We like to keep a strong hold on the traditional, you know? We like to have a bit of a modern edge as well for a bit of variety, but we like to hold on to our roots and not go too far away from them. Having said that, there’s jigs and reels, but there are other things we like to challenge ourselves with that we find entertaining and want to put our own take on it—like a set that is a ragtime piece, called “Reindeer Rag”—we also have an old American folk song, “Roseville Fair”.. If there is something we like, we’ll try it and put our own take on it and see how it goes. CR—Its so funny you brought those songs up, because I was going to ask you about those, but before I do, you mentioned that “Sleepy Ned of Newport” was a slow tune in almost an apologetic way. It is very easy to get excited about very fast tunes that are flat out—the enthusiasm, the drive, the energy–but it is much harder, I think for a slow tune to reach out and grab your ear. I think it says a lot about being able to do that with a slow tune. 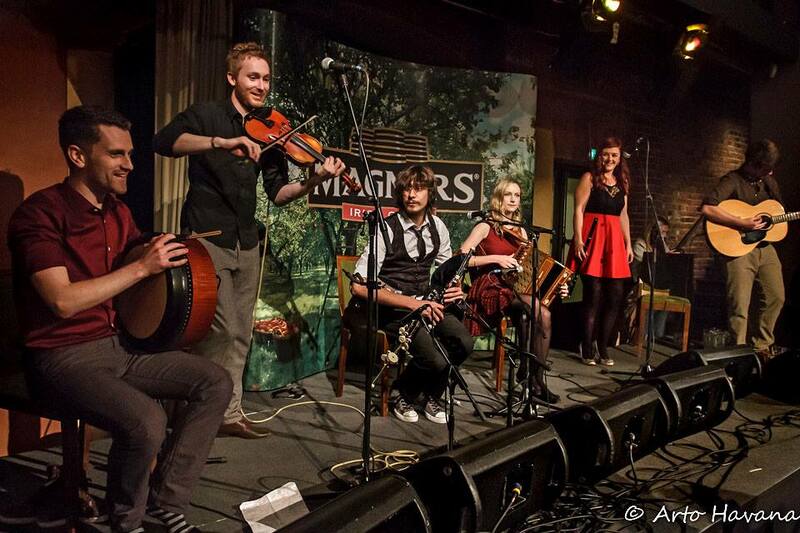 I loved “Reindeer Rag”, because it really fits—it blends well into the Irish way of playing. I think Kris Drever and Eamonn Coyne have done it best—bringing in tunes or songs from the 20’s and 30’s into some of their work and it is fantastic!!! A couple of people are starting to do it—and this is a great example of why it works! The future of the music is going to be songs from the 20’s and 30’s! MH—Well, Irish tunes have come from hundreds of years ago, and everyone had their own take on it then. There is a lot of freedom within Irish music—the ability to twist it a bit and make it your own, and I think ragtime has some of that same freedom in it as well. I also think the same can be said of Bluegrass and Jazz— you can twist it around a bit the same as Irish music. It is nice to have something different as well that appeals to us as well as the listeners. It suited our sound, but it was a bit of a risk to do. However, we’re very proud of it at the end. It is that piece that could stand out like a sore thumb, but hopefully we managed to make it synchronize in with everything else. CR—Well its nice to see something different and also some original pieces as well. You do great traditional tunes and songs—“Both Sides The Tweed” is fantastic and “Roseville Fair” is also excellent. But many have recorded the same songs. I do believe that you have put your mark on them to very good effect. But don’t ever give up on the “new and different” if you can make it work as well as it has on this album. It has a variety to it that enables a wide audience to grab hold of it. People will now have a chance to hear you guys live in both Denver and Colorado Springs—are you looking forward to coming back to Colorado? MH–We performed in Colorado with Pat McCullough’s help at the Spanish Peaks Celtic Festival in 2012 and we just loved the scenery, the music and the people. We are really looking forward to coming back to Colorado!!! Its going to be a great show—we try to get the audience involved—but at the same time it will be a great bit of fun and a way to start the St. Patrick’s day season in style!!! CR—Well with a February 15 and 16 show, it will be a little bit St. Valentine’s Day and a little bit St. Patrick’s Day. Two saints for the price of one!!! One iteration of the Riordon family crest features trees, lions and hands holding daggers. A quick glance and it inspires strength, courage and beauty. The same can be said for Colorado fighter Maureen ‘Baby Face’ Riordon. 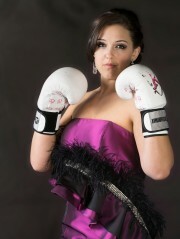 Riordon, out of Fusboxe MMA in Westminster, will make her 2014 return in January, not in the MMA cage, but the boxing ring. “I’m interested in seeing what kind of a foothold I can establish in both the MMA and boxing worlds. I’m a competitor through and through and am excited to just be able to have the opportunity to compete,” Riordon said. While she has had one boxing match previously, she still has to adjust to preparing for a fight after such an extensive MMA career. “Training is definitely different. The approach to the stance, head movement, and preferred combos is all different. I thought it would be an easy transition, but it’s actually been quite the fun project. Which I’m glad for. I wouldn’t want to disrespect anyone’s chosen sport by thinking I can just prance on in with ease,” Riordon said. As of late, nothing has come easy for Riordon. In October of 2012 she broke a metacarpal in half and was sidelined until February of 2013 when she was injured again during camp and had to get a second surgery. “But I’m finally recovered, finished with rehab, and am coming back in swinging. Cheesy pun completely intended.” Riordon said. It’s that sort of fun attitude that has drawn fans to her while she herself has been drawn to her Irish heritage through an unconventional path. “Actually, I’m adopted,” Riordon said with a laugh. “Maureen Megan Riordon, I was very obviously adopted into an Irish family. I’ve always been a huge daddy’s girl, so I always took a lot of pride in claiming his Irish heritage.” Irish by choice, if not by birth, Riordon still brings the fighting spirit of the people with her, and on January 25, at the Red Lion Hotel off 225 and Parker, she’ll put that spirit on display for the Airtight Promotions boxing event. Her MMA return is scheduled for March of 2014, and will feature a bout that relights a classic battle of heritages. “After this I jump right back into camp again, which is how I prefer to train. Eyes always firmly on a goal, and yes, that will be MMA again. This time against London’s own, 2-0, Lisa McCallum,” Riordon said. Two matches in the first quarter of 2014 for Riordon means two chances to see her in action. While this mother of four admits to being too humble to give herself much acclaim, she thinks fans will get their money’s worth when they come to see her. “Well, I don’t stop. There haven’t been, and never will be, an anticlimactic fight in my career. If there’s not a finish, then the entire fight is action packed. There’s no dancing around on the outside of the ring being unsure of myself. I’m going to bring my best to that ring, and expect no less from my opponent. If I see the knock out shot, I’m taking it,” Riordon said. 2014 will feature the return of one of Colorado’s favorite female fighters. Her plans involve boxing, MMA and a return to the success she had been enjoying before her injuries. While her body may have be in need of repair, her fighting spirit has ever burned within and this coming year will provide ample opportunity to see that on display. You can follow Maureen on Twitter @babyfacemma, or go to her Facebook fan page at https://www.facebook.com/MaureenBabyFaceRiordon. The Magic Of New Year – In a New City! Experiencing the magic of New Year’s Day does not always require planning a trip to foreign cities. In what follows, I would be recounting how I had discovered my home city, Dublin, in a whole new light – on the 1st of January, 2013. If you are looking forward to an exciting travel chronicle to a far-off land in this post, you might be just a tad disappointed. I have lived in Dublin, Ireland for most of my 26 years of existence, and I did not venture out to a foreign city during the last Christmas and New Year weekend. Instead, I had decided to catch up with my best buddy Bruce, and show off some of the best local tourist attractions to him (Bruce, incidentally, works in New York – and was coming down to Dublin to spend the holidays). Being dedicated foodies both, trying out the top Dublin restaurants also featured prominently in our plans! •	A morning stroll at Croke Park – Bruce has a thing for grand sports stadiums – so I decided to give him a taste of the best Ireland had to offer in that regard. However, the delightful way in which Croke Park had been decked up took me aback too (in a pleasant way, of course). There were quite a number of people already present over there, and sharp at 9am…hold your breath…a flash mob was organized! I have two left feet, and looked on quite jealously – as Bruce grooved along to his heart’s delight. Old place, but a very new experience! 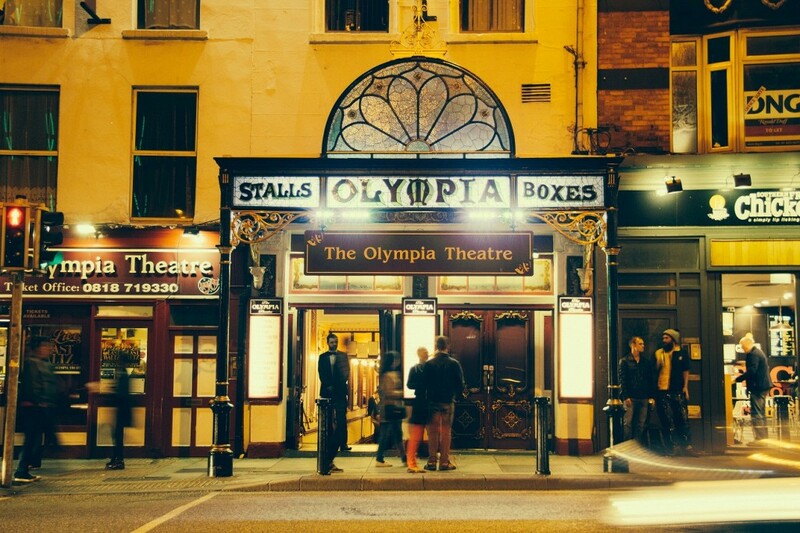 •	Attending a classy musical concert at the Olympia Theater – Now, we had just wandered into the theater, and had not planned to catch any particular musical event. As it turned out, the concert that we attended there was, in all fairness, one of the finest I had ever been to. Bruce was spellbound at the solo concertino performance, while we hummed along with the traditional Irish hymns that were later played (come on, right from when I was a little girl, classy musical performances have always enthralled me). •	It’s lunchtime – Can you imagine what a hearty morning stroll and attending a 3-hour music concert did to us? That’s right, they made us ravenously hungry. I brought my local knowledge to the fore, and presented Bruce with the option of having lunch at any of the four Italian restaurants in Dublin that I liked the most. He selected the widely reputed Toscana Restaurant in Dublin, we had antipasti, lasagna, grilled chicken and tiramisu – and beautiful festive music was played in the background. Once again, this was an experience that was new to me too – and one that I really loved! •	A visit to the Dublin Zoo – We had been outdoors since early morning, but none of us was in the least bit tired. Once lunch was over, we made a beeline for the Dublin Zoo – to catch a glimpse of the diverse range of wildlife over there. I had always found the zoo to be a bit too crowded for my liking – but the expert way in which visitors were being managed by the personnel over there on New Year’s Day was indeed worth a round of applause. We stayed at the zoo till late evening. Slightly predictably, we hit a happening local nightclub, after dining at the Toscana restaurant (yes, again). When Bruce dropped me off at my apartment, it was almost 4 a.m.! It had been a day to savor – in the truest sense of the phrase. Author’s Bio: Joselin John is a renowned author. She often writes interesting articles on the web, on travel and lifestyle issues. 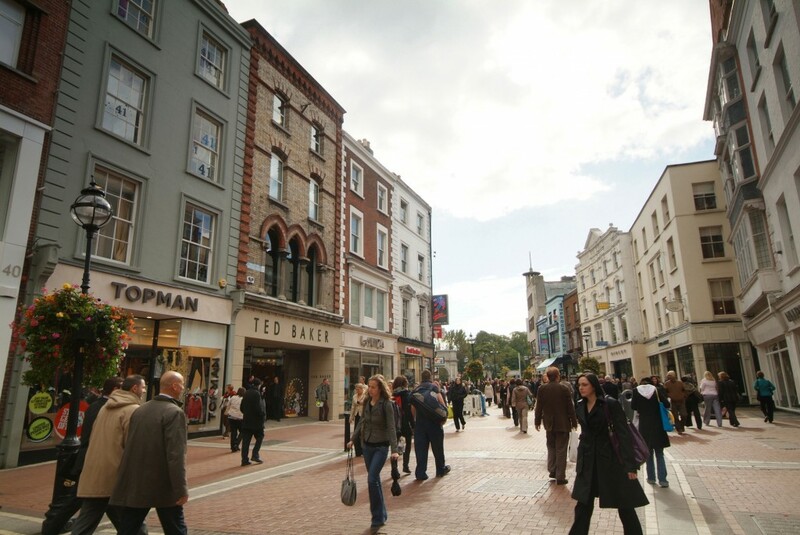 In this post, she relates how she had discovered a new, attractive side to her home city – Dublin – on the last New Year’s Day. The Denver Gaels are bringing one of their most successful and exciting years ever to a close, and what a year it’s been, from start to finish. Between new members joining the club, veteran members getting more involved and more success at the NACB finals, the club had plenty to celebrate when they got together at the Celtic Tavern downtown for the annual Christmas party. It was a fantastic time once again, as the club took the opportunity to recognize some of its most successful members on and off the pitch. 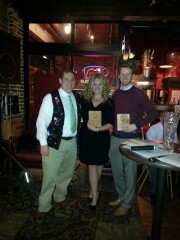 After a delicious dinner, it was time to give out the annual awards. First up was camogie, which saw Kelly Naumann bring home camogie’s most improved player award, and Sarah Faller be awarded camogie player of the year. Next up was football, which saw Jeff Posey win rookie footballer of the year, and Shay Dunne net footballer of the year. Then came hurling, who saw Sean Sweeney bring home newcomer of the year, Matt Jakubowski and Eamonn Ryan win Junior C and B hurlers of the year, respectively. Finally, the club awarded a dual Club Person of the Year, to both Kyle Shane and Brian McCarthy, for all they’ve done to build the club and improve the quality of play throughout the past year. Then, it was on to the music and the dancing. Adam Agee and Jon Sousa entertained the crowd with traditional Irish music, while Billy Canaly provided Irish dancing once again. With a full slate of club activities already scheduled for next year, the club would like to wish all of you a very happy holiday season, and safe travels to wherever that season may lead you. May the coming weeks be full of craic with family and friends, and delicious food.